Not all icons available to change? Basically I want to swap out pretty much every single standard Windows 7 icon with a beautiful flat version. I have pretty much all the icons I need .ico format, and thought that IconPackager would be the way to apply them. However, after installing the trial I have been disappointed to find that some icons just aren't available to change. The control panel section of IconPackager for example allows you to change the majority of icons, but some are seemingly arbitrarily missing - windows update, windows defender, etc. Is this a limitation of the software or can IconPackager change these icons - if so, how? Select the .cpl that you intended to swap,then right-click of it,scroll down to the option "change icon". There you go. I know how to change icons individually in the control panel - I am trying to build an icon package that will do it all through icon packager so that I can apply it to multiple machines and distribute it online, so I'm asking if I can do this in an iconpackager package, or whether it is limited in the kinds of icons it is able to replace and everything else has to be done manually. You should say the specific goal that you intended to do at the first place----pack a custom icons set to use in the future and apply it precisely as you wish,especially on control panel area. Anyhow,the answer is no and yes,some areas have to be done manually. However the IP has been developed,it wasn't perfect. Should you really like to change all of system icons drastically,you have to use some brute force tool to alter relative .dll files or choose someone's works which have been done,such as Customization Pack. But,I am not root for it. Thanks again for your reply - sorry if I wasn't clear in my initial post. The information you've given is helpful and I may go down the route of customising DLLs if I can spare the time to do so! Beauty is in the eye of the beholder I guess. Personally, I find that flat "modern" look boring and ugly. From the product page: IconPackager is a program that allows users to change nearly all of their Windows icons at once by applying "packages" of icons. A package of icons contains icons to replace most of the common icons on your Windows PC. 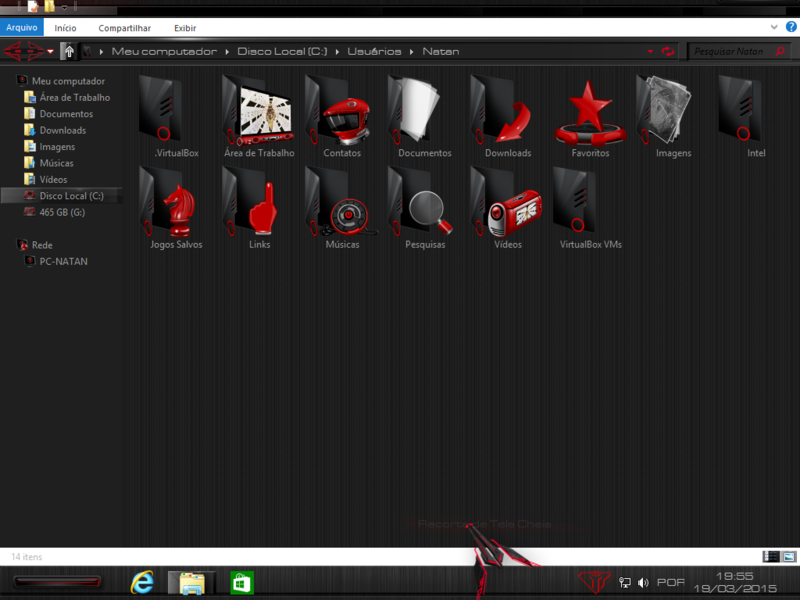 Stardock doesn't claim that IP can and will replace all system icons. On top of that. it's in dire need of an update or two. On top of that. it's in dire need of an update or two. Ne'er 'as a truer word's bin spoken.... an update or two for each of the last 4 - 5 it hasn't had one. Thing is, what Vorneus is asking is similar to something I raised about 4 - 5 years ago... that users have the ability to add custom icons within IP by following the path to the desired location, perhaps adding it to a custom user list so as not to confuse ready made packages, and clicking 'apply' to set the icon image of choice. It could be done because other programs allow users to follow paths to add items/custom images, etc, and it would be a most welcome update to a sorry old IP that definitely needs some TLC. sorry if it is not the correct place to post. but as I change all the icons with IconPackager? 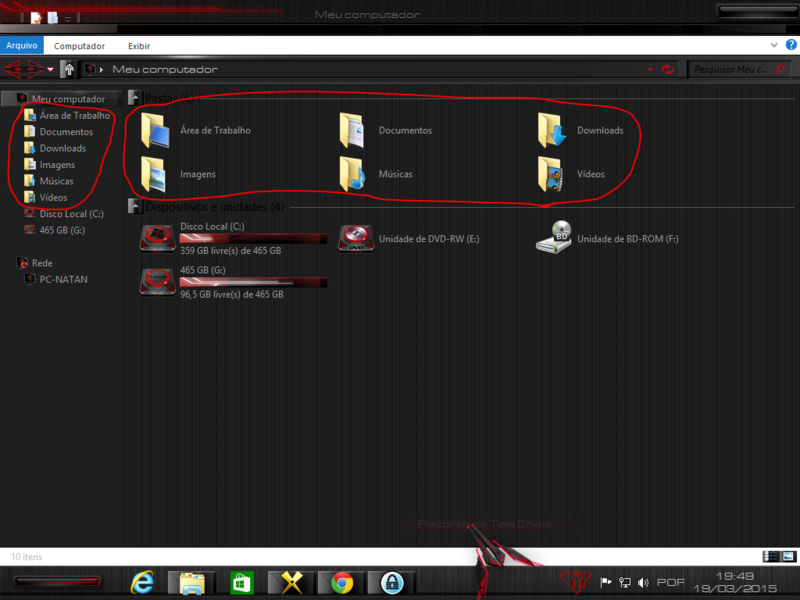 how do I change the icons of folders Desktop, Documents, Downloads, Music, Pictures, Videos? You cannot,that's imperfect of IP awhile. It comes down to whether or not the package in question has those icons. If it doesn't, they'll just remain the default Windows icons. IconPackager can indeed change the icons of all of the icons he has shown in those images. A lot of the older Icon Packages were made for Windows XP, which didn't have many of the library icons used by Windows 7 or 8. Using those old packages will obviously result in many missing 7/8-specific icons. As for IconPackager as a whole, a lot of it comes down to how Windows has the icons set up, not how Icon Packager deals with them. I'm not sure why some of the icons in the Control Panel can't be changed when they're able to be changed manually, but there are a lot of icons in use in a lot of places that are tied to various system files and packaged like sprites. For instance, there's a little shield icon used all over the place in Windows 7 including the main page of the Control Panel, which is controlled by the shell32.dll. Icon Packager can't change this, because shell32.dll is always running as soon as you log into Windows. If you try to swap out that file, it usually gives you a warning. There are some really hacky ways of changing this file, but the most efficient way I've found is to log into my Ubuntu installation, mount my Windows drive, and then swap files. It would be really great if IconPackager allowed you to change shell32.dll. Though that would require it to run a process on boot that replaces shell32.dll before Windows loads that file, and Stardock's employees are either unwilling or incapable of writing that script. Actually it has to do with the operating system itself, not sure where I read it, but since Windows Vista I think when you apply an icon package it displays the folder icons for an instant, then reverts to the standard operating system icon. The funny thing is, empty folders display using the IconPackager icon, but folders with files in it do not. Maybe it is something Stardock can fix, who knows. I saw a workaround somewhere here on the site a while back, just don't remember where. I've actually not seen this issue first-hand. I have several empty library folders and they remain swapped to my custom icons at all times. I've been using these icons since I created them last year.